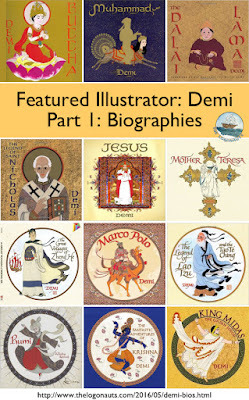 Demi is an incredibly talented author and illustrator! 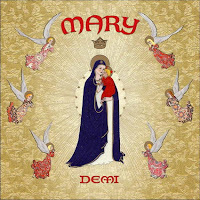 This post will focus on her biographies of famous and often religious figures, while the next post will share her versions of traditional tales. (Presented in order of publication.) Click here for more posts on featured illustrators. You can read a great interview with Demi from a few years back at Paper Tigers. Thanks, Marjorie, for sharing this link! Buddha (1996). 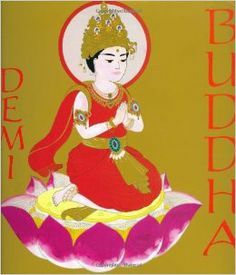 A practicing Buddhist, it makes sense that Demi began her exploration into the biographies of famous religious figures by starting with Buddha/Siddhartha. 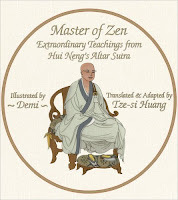 Divided into a few chapters (The Young Prince, The Seeker of Truth, The Buddha) and two parables (The Blind Men and the Elephant and The Burning House), this book tells the story of Siddhartha's life, his revelations, and the basic tenets of Buddhism, including the Four Noble Truths and the Eightfold Path. 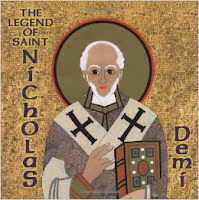 This is a great overview of both his life and the beginnings of the religion itself. Muhammad (2003). 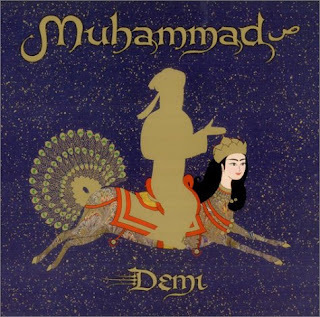 Out of respect for Muslim restrictions on depictions of the Prophet, Demi utilizes a full-body golden silhouette for his biography, as well as the honorific symbol, denoting the phrase "Peace Be Upon Him." The biography about his life and the rise of Islam is a great introduction, and this is one book that I include in my classroom library when we are studying Asia and Asian-based religions. Jesus, based on the King James Version of the Holy Bible (2005). 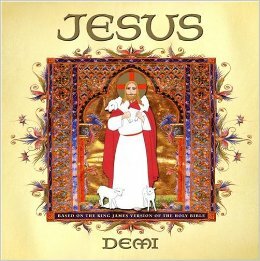 Rather than her own text, Demi structures her biography of Jesus solely around illustrations of passages from the Bible. The book ends with an apostolic blessing granted to the book from Pope John Paul II (including the full name of the author, Charlotte Demi Hunt). 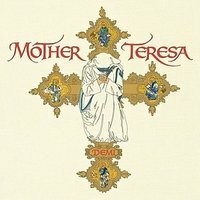 Mother Teresa (2005). This biography of Mother Teresa focuses on her sense of calling and the many, many people and ministries that she served (and created). The book ends with a listing of her awards and accomplishments, as well as an explanation of the process (still underway) to canonize Mother Teresa and make her a saint. This book also includes the blessing from the Pope. 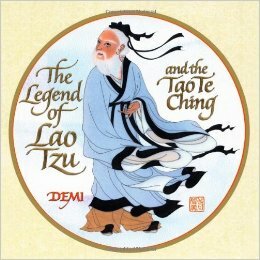 The Legend of Lao Tzu and the Tao Te Ching (2007). The first, briefer, section of the book is the biography of Lao Tzu, explained in terms of the legends and unknowns that surround him and his life. The second section includes 20 of the 81 verses that comprise the Tao Te Ching, the foundational book of Taoism (or Daoism in some spellings). 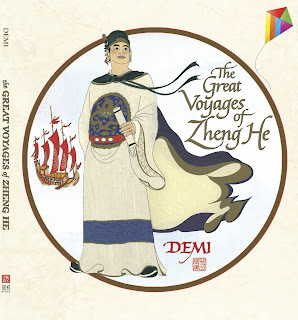 The book concludes with the end of the legend and an explanation of Taoism symbolism. 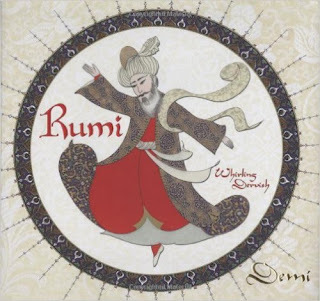 Rumi Whirling Dervish (2009). The book opens with a note from an author and translator of Rumi's works who provides a bit of an introduction as well as mention about 2007 having been the 800th anniversary of Rumi's birth. The biography itself details Rumi's birth, life, and inspiration and intersperses many recitations of his poetry within the narrative. A note at the end explains a little bit more about the whirling dervishes and their dance. 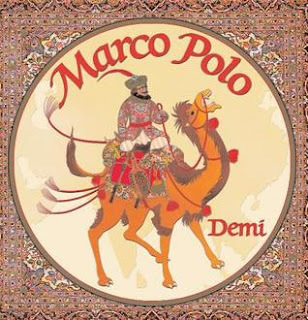 Marco Polo (2008). 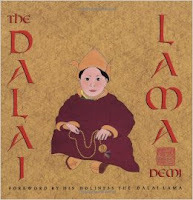 This lengthy biography draws on the work of many researchers as well as various translations of Marco Polo's own book. There is plenty of information provided here for a student looking to find out about the life and adventures of this well-traveled man. Each page is laid out as a two-page spread with a rectangular picture in the center, framed by texts. There is exquisite detail paid even to the borders of each individual rectangle! 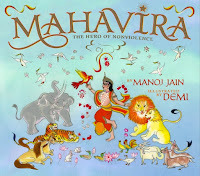 The Fantastic Adventures of Krishna (2013) (A SABA Highly Commended Book). 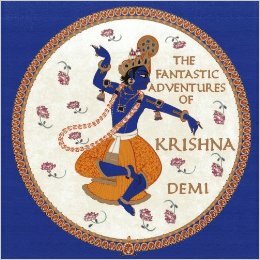 This book shares the childhood adventures of Krishna, the Hindu Lord Vishnu reborn on earth to defeat the evil demon kings. The wide variety of spectacular and menacing demons are rendered in dramatic fashion through Demi's brightly colored artwork. A truly fantastic way to share these stories with kids. Stay tuned for next week's feature on traditional tales written and/or illustrated by Demi! 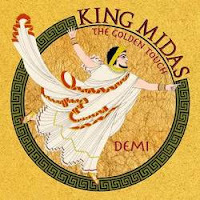 I do not know this illustrator! Thank you for sharing. Beautiful work. Kellee, the artwork is stunning, and her folktales are some of my favorites. So glad Demi is being featured. 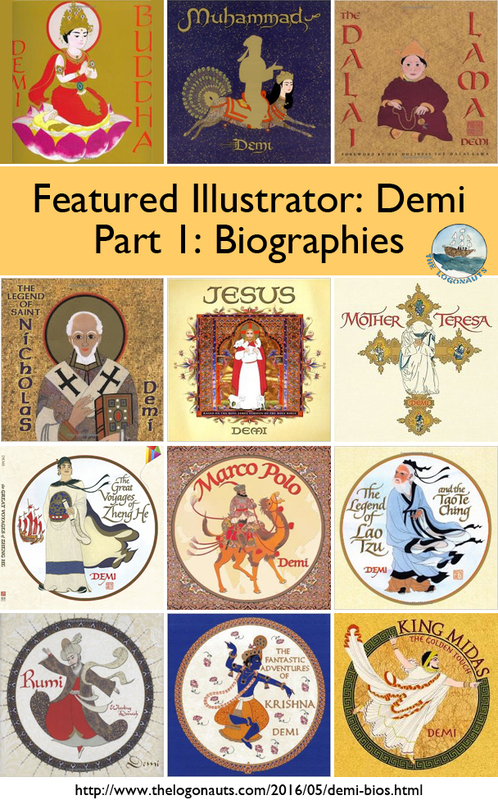 I remember my mentor, Emma D Dryden, saying what a joy it was to work with Demi on several of these biographies. How cool to have such a connection!